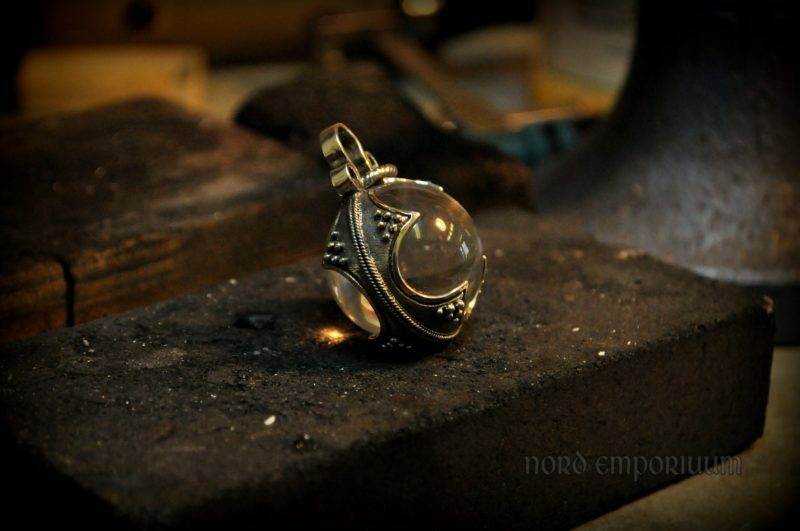 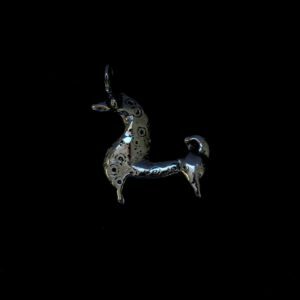 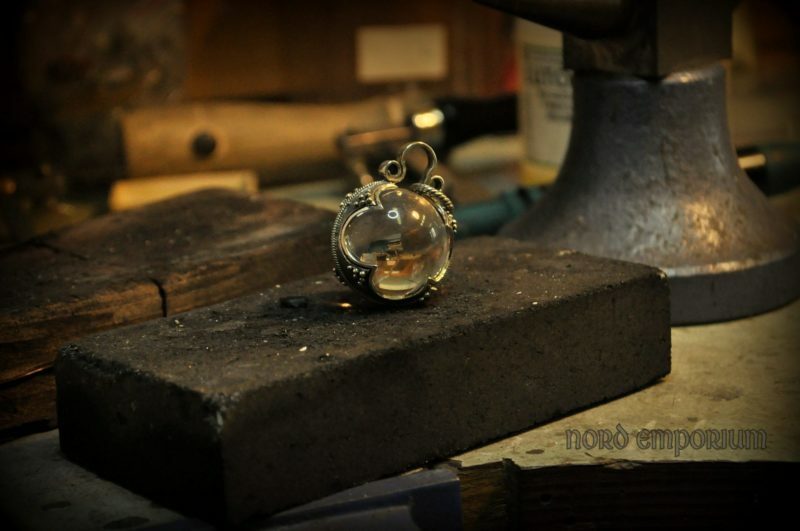 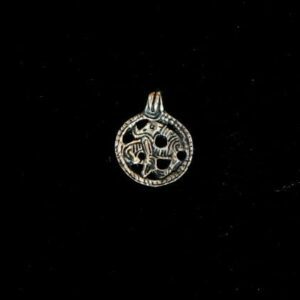 The beautiful pendant wit Rock Crystal is based on the historical find from Swedish island Gotland. 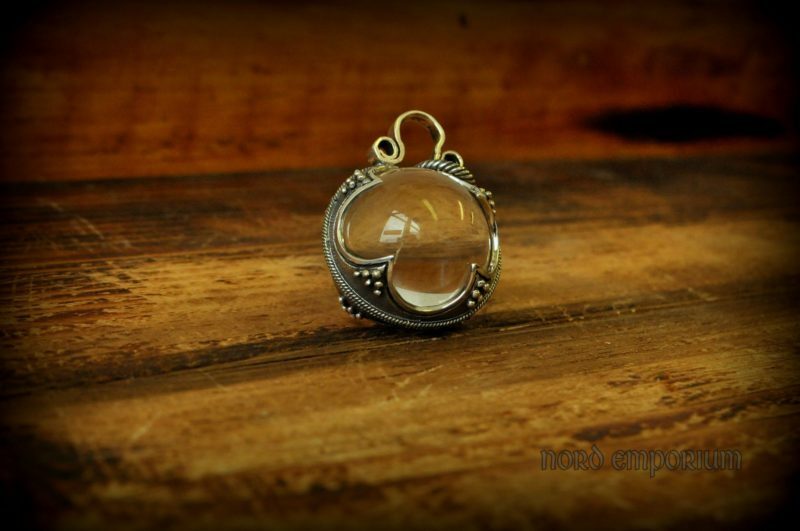 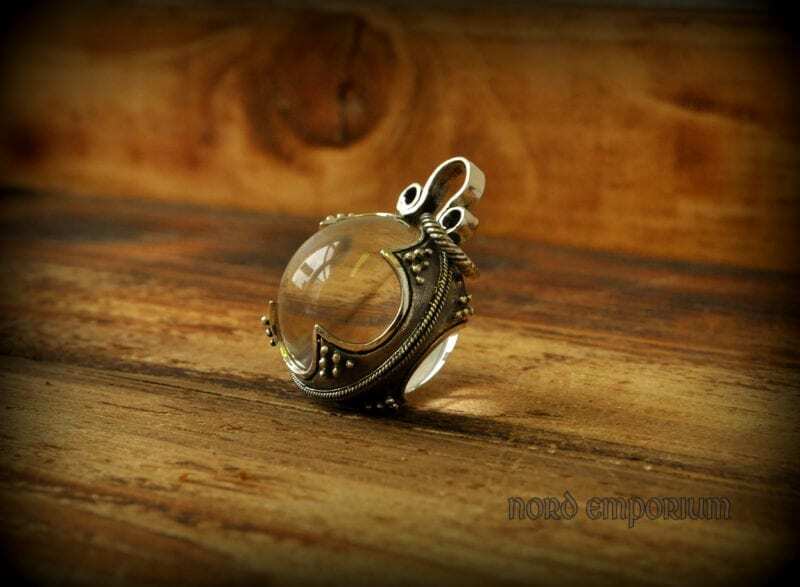 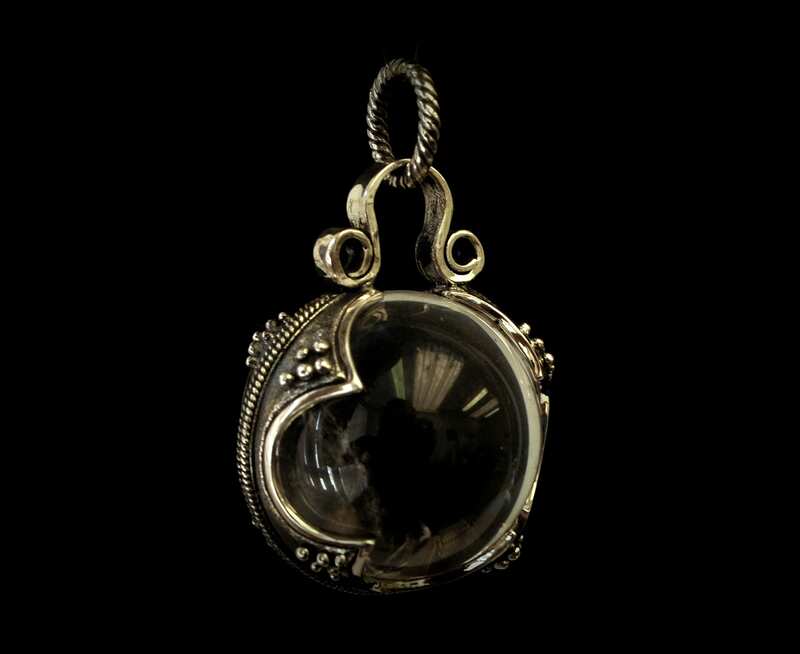 This amulet is an elegant combination of natural rock crystal and Silver. 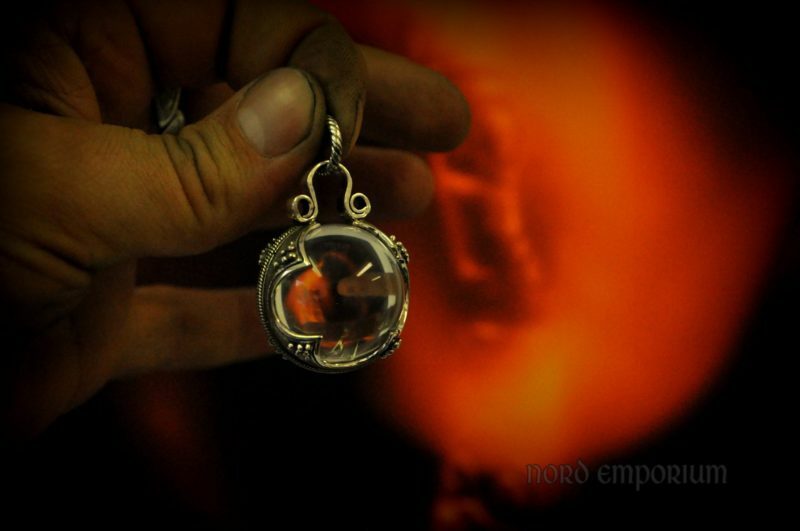 Originally it was a part of a massive necklace. 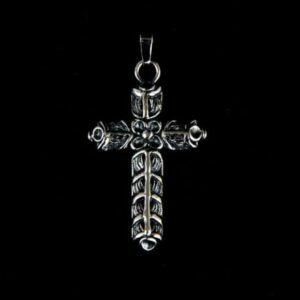 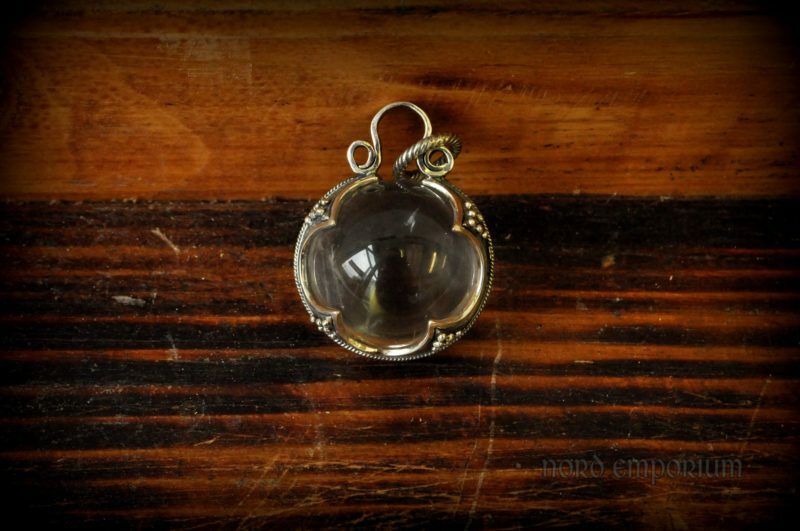 This granulated silver jewel contains Natural Rock Crystal, just like the original.